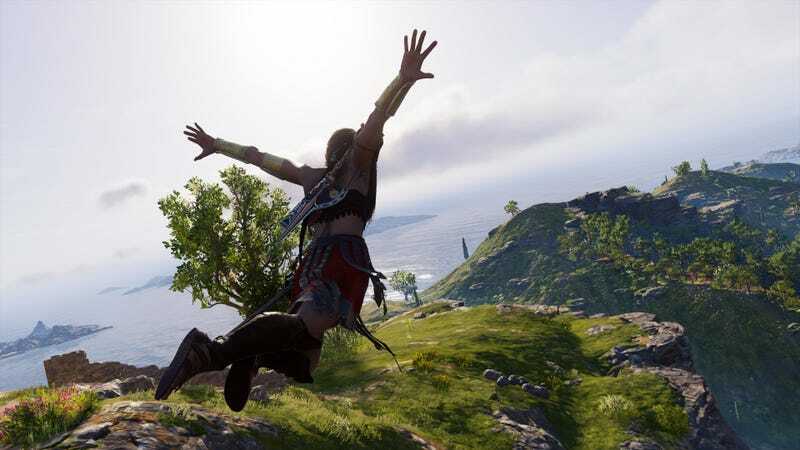 From the start of the game, your main character (Kassandra, or Alexios if you’re basic) will take reduced damage from leaping off mountains or buildings, no matter the height. Then, at level 20, you’ll take no damage at all. It’s a brilliant feature that, coupled with freeform climbing, encourages exploration in a way reminiscent of Zelda: Breath of the Wild. You can wander in any direction you’d like, moving up and down with no concern for how you’ll get back to where you started. The logic behind fall damage in video games is twofold. One: it makes the world feel more realistic when you can’t leap off huge mountains without dying. 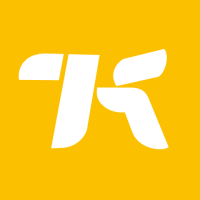 Two: it creates an artificial barrier to prevent the player from exploring and reaching places they shouldn’t be reaching. Assassin’s Creed Odyssey wisely throws both of those rationales out the window, accepting the fact that a game about a woman who uses VR to travel back through time doesn’t need to be too realistic, and that reaching places you shouldn’t be reaching in a video game is actually pretty damn cool.